Yayayyayyayayaayyy, when you have nothing to write, write something near. So here it is. All you people of early 21 century kiddos might be know digital monster. I do, and fall in love for it since a long time. My bf told me there is a game online about it so there I am playing this game. Since the first he told me about the game, aku bayangin pengen punya Angewomon. Cewe cantik, paling cantik se-dunia digital. Gyahahahhaa. Mekanisme gamenya gampang, kamu tinggal daftar ke web-nya. Klik user agreement, terus main. 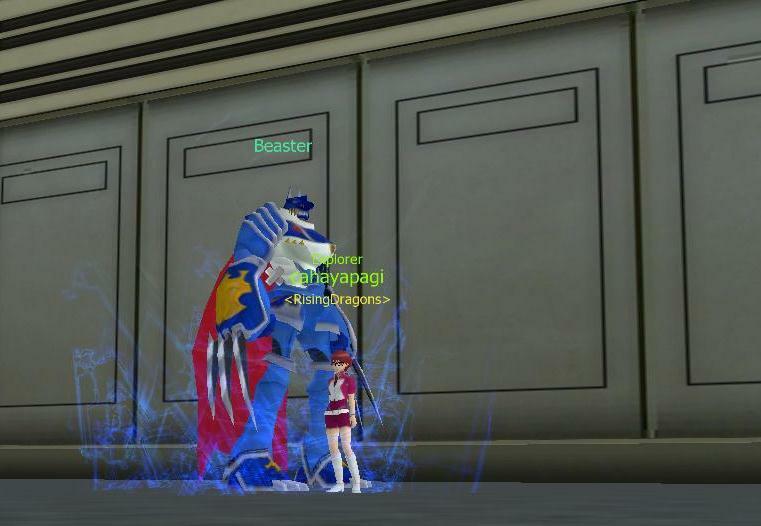 Sayangnya pilihan charnya dikit *garuk-garuk pala* dan berasal dari digimon yang gak gue tonton *MAMAAAAAAAA, failed kiddos*. 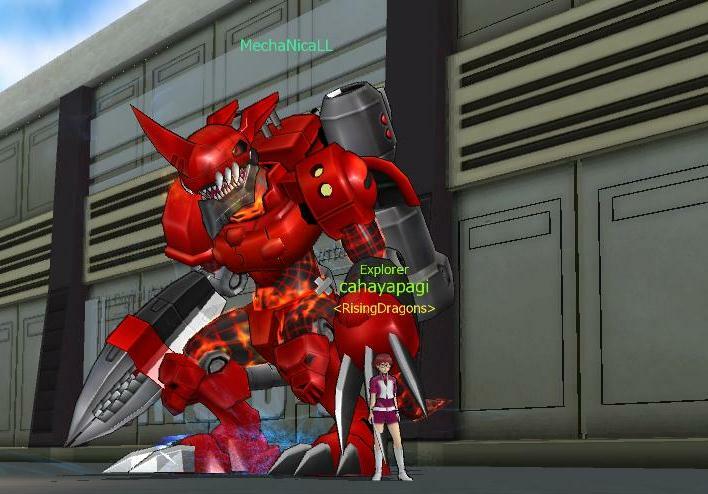 Pertama kali kamu main, kamu bakal disuruh milih char dan partnermon. Here is mine. Lucu, biru-biru gini. Sayangnya dia susah banget buat leveling. :( Sampe sekarang mentok di situ aja levelnya. 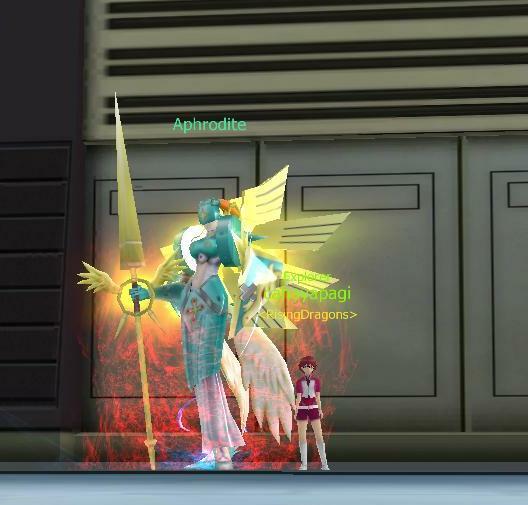 cahayapagi and Salamon highest evolution, Ophanimon. 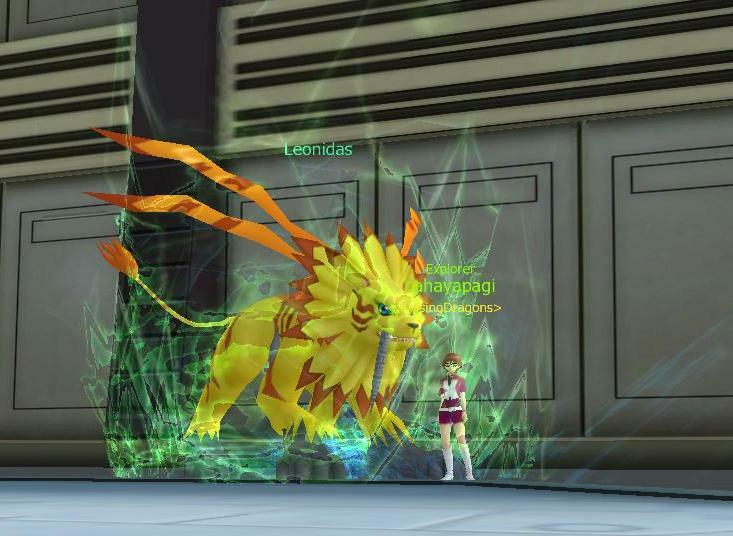 After wasting like 50's eggs of Gotsumon, so cahayasore tried to hatch the new digi by iseng-iseng. 1 single egg and some data. TREEEEEEEEEEEEEEEEEEEENGG CLINGG the incubator said, "Congratulation. The fourth trial of blah blah blah blah." And I have new baby digi. Hihihi, this one, bit hard bit easy to play. So it haved its BM modes after waiting for century. LOL. 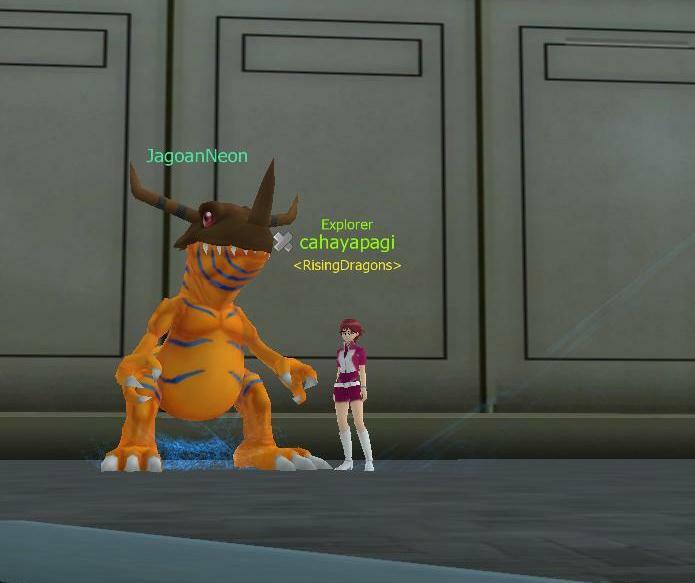 I've told every players (yeah it is only cahayasore actually), that I wanna have dragon type :3. But it's hard and I gave up! Hahaha. And one day, like mid-of-nov, the game provider launched omegamon. AND every players (again) got a freeeeeeeee Agumon (classic) me tho. It is leveled up by quest reward exp lolz. NOTE: this post is about narcissistic players not about the game. HAHAHAHA.